Recess Art and Brooklyn Justice Initiatives Team Up on Assembly#ArtTuesday « Adafruit Industries – Makers, hackers, artists, designers and engineers! Assembly offers those caught up in the justice system an inroad to art and connections to working artists and serves as an alternative to incarceration while empowering young people to take charge of their own life story and imagine a positive future. Once participants complete the program prosecutors may close and seal their cases, allowing youth to avoid an adult record. Participants may stay involved at Recess through paid, long-term engagement as part of our Peer Leadership and/or Artist Apprenticeship tracks. 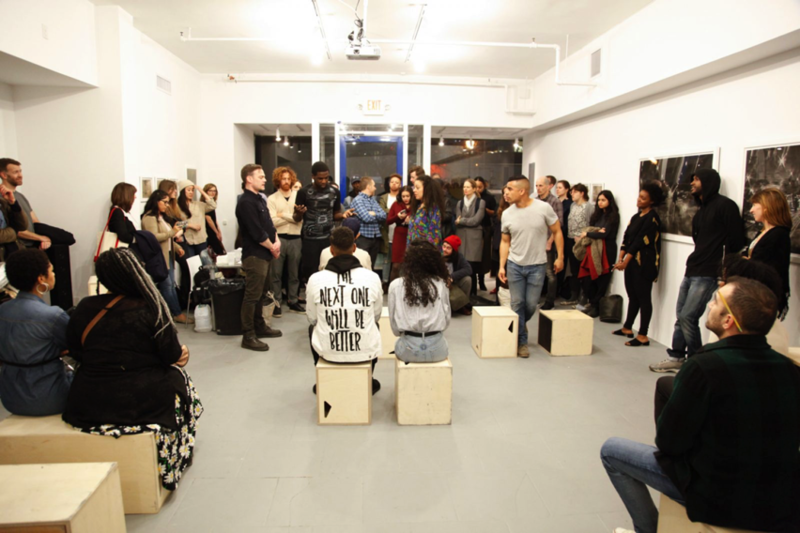 Operating out of a satellite space in Downtown, Brooklyn, Assembly is at once a public storefront gallery and an artist-led diversion program for court-involved youth in Brooklyn. Assembly seeks to dismantle the dominant narratives of the “criminal” through a series of artist-led visual storytelling workshops designed to lend agency and power to participants as they tell their personal stories on their own terms.